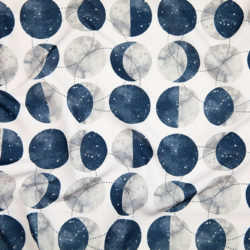 Band of Majorettes by Logan Spector was voted the top fabric this week! 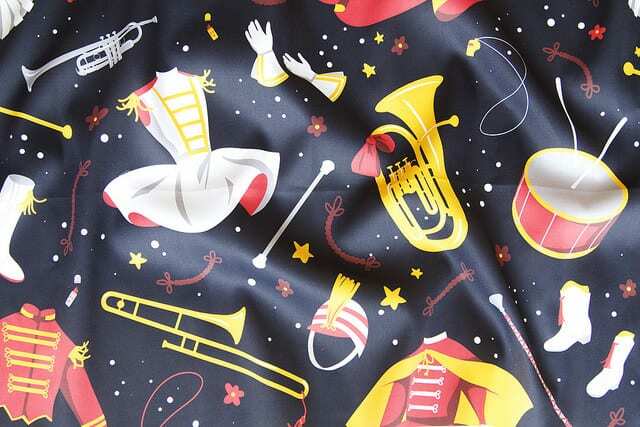 Band geeks and music aficionados everywhere rejoice–our top 10 fabrics are a celebration of the instruments and uniforms that make marching bands so gosh darn delightful. Join the fun. Take A Break From Politics & Vote! 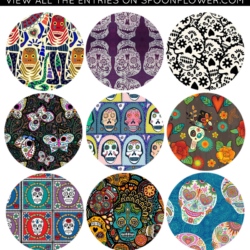 A parade of circus fabrics: vote for your favorites in this week’s contest! I’m not sure if this is the correct place to make this request- but here goes! I have been making baby quilts with Star Wars kids fabric that was offered at Spoonflower, as of today it is no longer available. These quilts are really adorable, and have been my best selling item. I have an Etsy shop, and feature geek-inspired items- and there is a serious market out there. But I have been searching for any appropriate kids/baby fabric for Star Wars/Trek, Dr. Who actually has more than others. 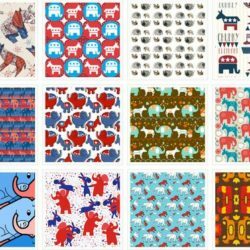 I would love to see some new choices for geek baby quilts-check out nixongraphics. Thanks! !